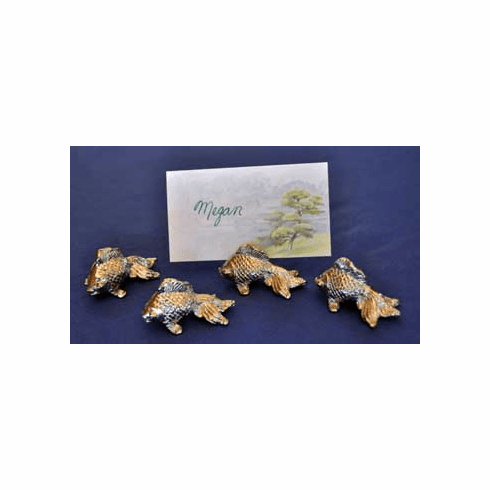 Koi Placecard Holders, Set of 4 - An enchanting addition to your next dinner party table, these Koi Placecard Holders are cast with great detail and weight to stay where you place them. Made from solid cast aluminum with a decorative silver finish. Measures 2" in length x 1" in height.